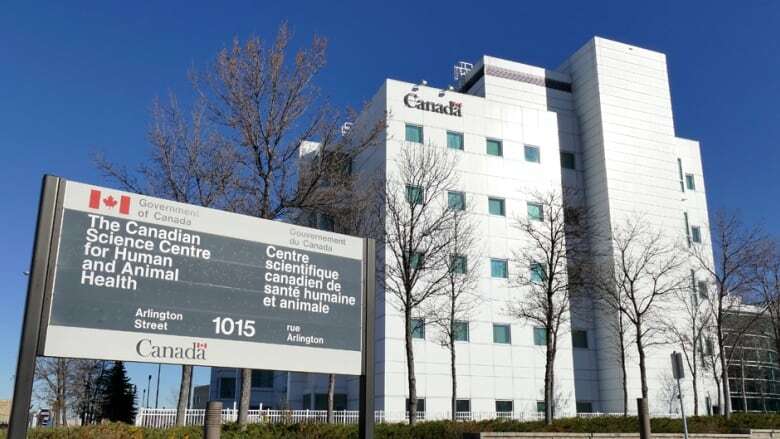 An employee at the national animal health lab in Winnipeg was potentially exposed to the Ebola virus yesterday, federal officials say. The employee was wearing a protective suit and noticed a split in the seam, Dr. John Copps, director of the Canadian Food Inspection Agency (CFIA) told reporters Tuesday. The employee of the National Centre for Foreign Animal Disease (NCFAD) was evaluated by an infectious disease specialist and has put himself in isolation for 21 days — the maximum time from Ebola infection to the onset of symptoms, according to the World Health Organization. The risk to the public is considered low because the individual is not showing any symptoms and is not considered infectious, officials said Tuesday. The employee was working with pigs that had been experimentally exposed to Ebola when he noticed a split in his suit. The incident happened during standard decontamination procedures before exiting the lab. The individual was offered the Canadian-developed experimental Ebola vaccine. Dr. Theresa Tam, deputy chief public health officer at the Public Health Agency of Canada, said the organization is respecting the employee's privacy regarding whether or not he accepted the vaccine. "The Ebola vaccine offered to the employee was developed by scientists at the National Microbiology Laboratory and donated for the Ebola response is West Africa in 2014," a spokeswoman said in an email. "The vaccine is currently approved for use in clinical trials and under specific circumstances." Also to respect the privacy of the employee, the agency would not reveal where he is in isolation. The anesthetized pig was one of six infected with the Ebola virus as part of the lab's research into whether treating with interferon affects the course of the disease, Copps said. The suits are supposed to be checked at least once a week and this was a relatively new suit that was checked rigorously, he said. "Our employees are well aware of the risks and how to control them," Copps said. Health officials won't speculate about how the suit became torn. The Canadian Science Centre for Human and Animal Health works on the prevention, detection, control and reporting of foreign animal diseases and emerging diseases. Its research also includes work on avian influenza and foot-and-mouth disease. The facility is one of only a handful of North American labs capable of handling pathogens that require the highest level of containment. In March, WHO declared that the Ebola outbreak in West Africa was no longer a global health risk. The disease is spread by direct contact with bodily fluids. More than 11,000 people have died from the disease since December 2013, mostly in Guinea, Liberia and Sierra Leone.